The story behind your product, the story that started your business is a big part of who you are and what you offer. Sharing it with your audience will enhance your brand appeal and create raving advocates for your products and services. Why do you need to establish a good product-story fit? Connecting your product and brand story is a great way to get more customers, clients, and leads. The story behind your product, the story that started your business is a big part of who you are and what you offer. Sharing it with your audience will enhance your brand appeal and create raving advocates for your products and services. Keep reading to learn more about generating valuable connections for your brand with a great product story fit. In the business world, it is not uncommon to find companies that sell the same products, share similar business models and are approximately of the same size. These types of companies usually go head-to-head while trying to dominate the market. In these cases, one key factor that you can leverage is your product story. A product story fit involves creates a connection between your product and your customer. When buying a product, a customer focuses on which of those products in the market best suits him or her. Therefore, effectively communicating your uniqueness through your product story can essentially be the path to obtaining that deal. Start recalling what made you start your company or practice in the first place. Sharing how you started your business and how you turned your passion into a reality usually catches your customer’s attention. It gives them a glimpse of why the company is structured that way or why it continues to operate in a certain way. You can include the challenges or failures that you’ve encountered. Talk about how they strengthened your company and molded it into what it is today. You can further prove your credibility by including some of your credentials as well. Know your competitors. Do research on their operations, customer service, and product features. Take note of the differences. What do you do better than they do? What are your weak points? By understanding how you stand in the market, you can focus on highlighting your edge over your competitors, and you can start working on your weaknesses. 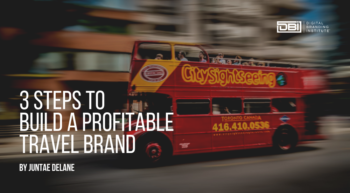 Effectively communicating the benefits of purchasing your brand can drive more people to you. Think outside your bubble. How you perceive your company may not be the same as how your customers and clients do. So you need to check and validate your thoughts. Aside from understanding your company’s roots and looking into your strengths and weaknesses, you should find out how your customers and clients. Ask them why they like working with you or buying from you. Find out what your reputation is in the market. Observe the words they use. After interviewing a good number of clients and suppliers, find the common words or phrases they use to describe your company. List these words or phrases down on different cards. Lay them down on a table and decide which ones you think are more relevant to your target audience or line of business. Try to form phrases or sentences that would best encapsulate what your company does. Write down what differentiates it from the rest of its competitors. Just when you think you have it all together, you realize that there’s something just a little off about your storyline. These are a few of the most common problems. If you have too much of a story, that can be a turn off for your audience. If you have to explain your product, what it does, and how it could solve problems, people may not be interested. This is your story, not your moment to convince people how great your product is. They should already want a solution to this problem. Similarly, too much back explaining isn’t good either. If you have to tell story after story to give enough details about your product, then its time to reevaluate. See what you can condense and scrap the rest. A one-liner should not be your product’s story. Just because your product must appeal to the lowest common denominator doesn’t mean that it doesn’t need an explanation. Go back to having your consumers describe you and work that back into your story. A one-line sentence will be lacking in depth, which may be seen as lack of passion. Don’t let your lack of story pull your brand down. This is an easy trap to fall into. It’s not easy to create a new category for your brand, and it’s not easy to map out your customer’s needs from scratch. However, it’s necessary. Your goal is to create a story where people picking your product is a no-brainer to solve their problem. If you copy a format that has already been done though, you will handicap yourself by making your brand something that isn’t remarkable. Pixar created a great narrative framework that can be used by your brand to share your own story. Once upon a time there was __. Every day, __. One day __. Because of that, __. Because of that, __. Until finally, __. This is a great starting point because it gives relevant background, the problem that created your product, and why your product is the solution. You don’t have to stick with this framework, but try starting with it. At the very least it will tell you if your product story fits. This is a video about the start up story of Amazon. This is just a short example, and not one that Amazon itself posted, but is a good idea of how to dig deep to find the answers to your past problems that your product represents. Above all, there are a few things your product story should have that will make it awesome. Your product story should tell the narrative of how your product fits into your reader’s everyday life. Be honest about how people interact with your product. Weave people stories and brand stories to create an adrenalin rush that will give your brand context and relevance. You have to cut through the noise of the internet to make anything of your brand. That’s just a basic fact. A quality versus quantity argument could ensue while you try to find a solution, but that’s not really what will get you the best results. Your brand needs to make an emotional connection with your audience. 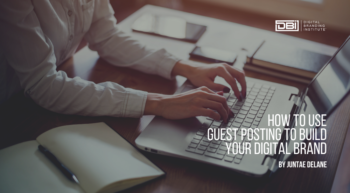 Combine that with quality, cohesive content across multiple social media channels, and you’ll have great search engine results that will touch your audience and make conversions. You don’t have to wait until your consumers have an issue with your brand to let them see behind the curtain. Be honest with where the idea for your brand came from, how you made it, and who’s involved with it. This will add richness and depth to your brand that people like. Admitting to past missteps will make your brand appear honest and human. It will create an aspect of trust in your audience that can carry you through any bad publicity. For example, Chobani is open about its origins, how they bought an abandoned plant and took two years before getting a product off its assembly line. This feels real and relatable. The test of their story came when there was a recall in 2013 of their yogurt. Customers were able to forgive Chobani for this mistake because they felt like they knew the company and didn’t just enjoy the yogurt. Now, they’re doing better than ever. By combining your internal evaluation of your company, market competitor evaluation, and your public’s opinion, you can formulate a great product story fit. If you combine what the market needs and what you can provide, you can create a clear link and reason as to why customers should support your brand. Through this product story fit, you can form a stronger connection between your brand and your loyal customers and hopefully, establish new ties with new customers whose problems and needs can be answered by your brand. Start creating your own product story; you may never know what new connections this can lead you to.